It's been a week of teasers. Monday was nippy with a cold wind off that pond to the east of Chicago. A scarf and mittens would not have been out of place. But, by Wednesday, there was sunshine. 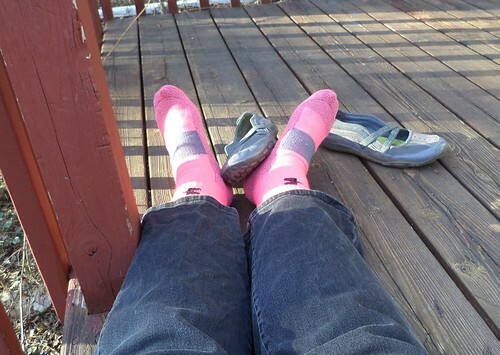 After opening the back door and dragging the recycling can to the street, I plopped down on the deck and took off the shoes. "Ahhhhhh" about covers it. The girls came out for a bit, too. We all enjoyed milder temperatures and the hidden knowledge that, yes, spring is approaching.